My team and I are delighted to welcome you to the IBIS BUDGET LYON EUROPE hotel. Enjoy the peace and quiet and visit the city of Lyons with its renowned gastronomy. Support your favorite team at Parc Olympique Lyonnais MATMUT STADIUM 3.1 mi (5 km) away. 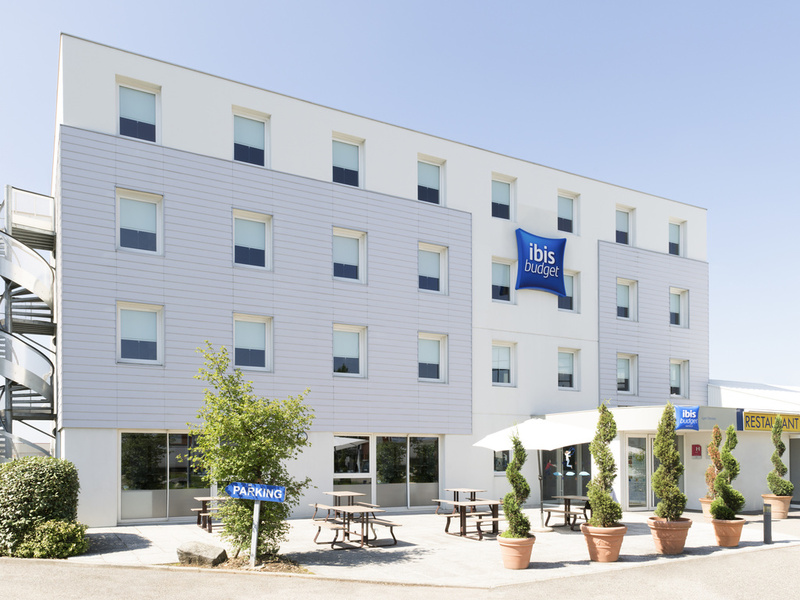 The team at the ibis budget Chassieu welcomes you to this quality economy hotel, located less than 875 yds (800 m) from the Eurexpo exhibition center and 9.3 miles (15 km) from the center of Lyons. Quick access from the A46, A42 and A7 highways as well as St Exupéry airport and Part-Dieu train station. The ibis budget Lyon Eurexpo (formerly Etap Hotel) offers comfortable and air-conditioned rooms for 1, 2, 3 or 4 people. It is open 24/7 and has a free private car park and unlimited WIFI. Excellent. Our only complaint was that the website did not provide adequate directions on how to get to the hotel. Staff was helpful, check-in easy and fast and the room was very clean with an excellent bed. We would stay there again. I was very surprise by the size of the room, to have another room with a shower and a separated toilet is a great improvement for me, you don't feel to squeeze. Staffs were friendly, very helpful when needed. The only problem we had is the discotheque next door on wednesday night we had to change room because we couldn't sleep but we moved to another room without any problem. the surrounding isn't the best but overall we were happy. The lighting in the room was too dark. A light near the door of the room would have helped make the room more light at night/evening. Room is very small. Location is inconvenient. Staff is friendly. Cheap, clean hotel for short stays. Everything went without any problem, from booking to check-out. Family room is adequate for one night for four adults. The location is quite good if you need to take a flight next day earlier in the morning. Room are according Ibis standards and priced accordingly, but everything is spoiled by the club just next door, music and flashing lights turns the stay very uncomfortable. Friendly staff. Clean room. Nice fast breakfast. Short, easy trip to the airport. Several restaurants in the vicinity for dinner.